Amber is the color of warmth, elegance, and hospitality. Amber Glass Decanter with Glasses. Perfect for any beverage. Includes 8 cordial glasses. 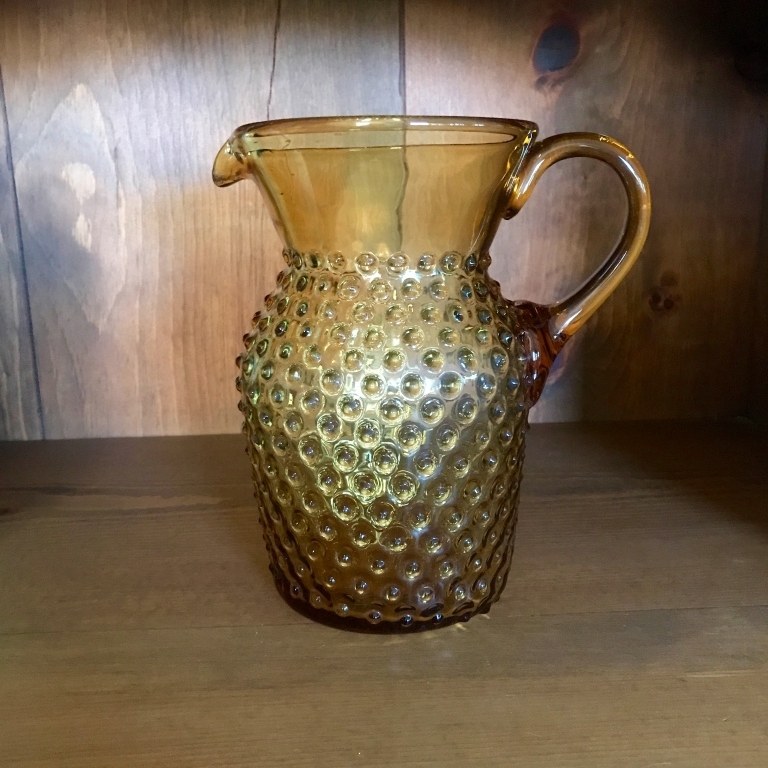 Assorted Amber glass water pitchers. Mismatched. Assorted serving bowls. Perfect pop of color. Vintage, mismatched. Assorted goblets and tumblers. 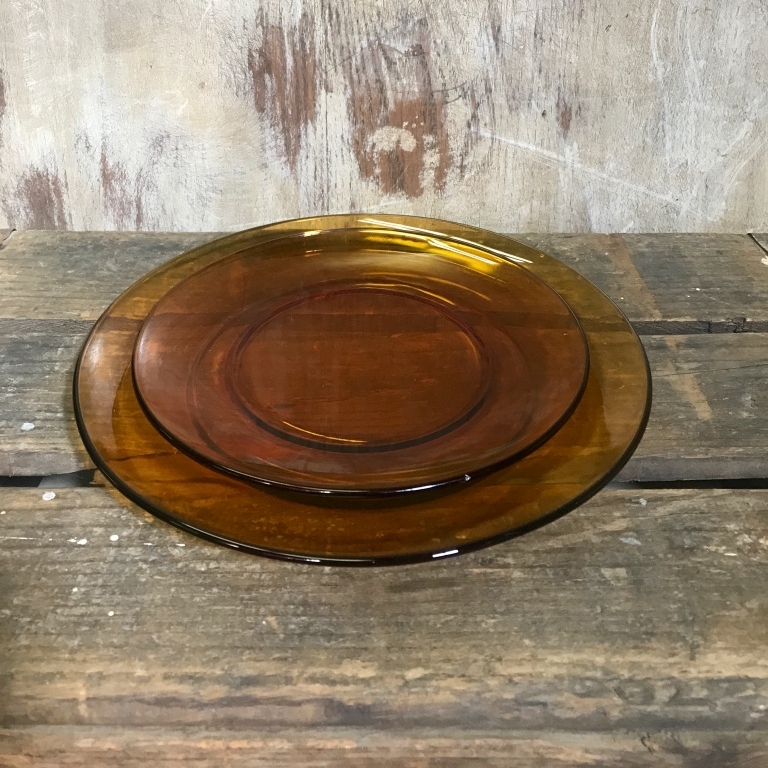 Amber Glass Cup and Saucer. For that perfect cup of Joe.